Mhhh, how about this. Don't leave me alone! But, can we get one? One that gives fresh home made turkey jerky??? Momma?????? The U.S. Food and Drug Administration today proposed a rule that would require certain shippers, receivers, and carriers who transport food by motor or rail vehicles to take steps to prevent the contamination of human and animal food during transportation. Part of the implementation of the Sanitary Food Transportation Act of 2005, the proposal marks the seventh and final major rule in the FDA Food Safety Modernization Act’s (FSMA) central framework aimed at systematically building preventive measures across the food system. The proposed regulation would establish criteria for sanitary transportation practices, such as properly refrigerating food, adequately cleaning vehicles between loads, and properly protecting food during transportation. The proposed rule would apply to shippers, carriers, and receivers who transport food that will be consumed or distributed in the United States and is intended to ensure that persons engaged in the transportation of food that is at the greatest risk for contamination during transportation follow appropriate sanitary transportation practices. The requirements in the proposed rule would not apply to the transportation of fully packaged shelf-stable foods, live food animals, and raw agricultural commodities when transported by farms. The FDA intends to hold three public meetings on the proposed rule for the Sanitary Transportation of Human and Animal Food. To do so, the agency is first planning on extending the public meetings on the proposed rule for the Intentional Adulteration of Food to include coverage of Sanitary Transportation in two locations. These meetings will be held on February 27, 2014 at the Hilton Chicago in Chicago and on March 13, 2014 at the Sheraton Park Hotel in Anaheim, CA. It is anticipated that the Chicago and Anaheim meetings will remain one day meetings but run until approximately 5:00 p.m. The agency also intends to hold a standalone public meeting on the Sanitary Transportation of Human and Animal Food on March 20, 2014, from 8:30 a.m. - 12:30 p.m. at the FDA Center for Food Safety and Applied Nutrition in College Park, MD. The agency will have final Sanitary Transportation meeting details and registration information published shortly. The proposed rule is available for public comment until May 31, 2014. DO YOU HAVE THE COURAGE TO LOVE AND BE LOVED? Our all time most popular post. And momma thinks we are food obsessed????? Ehmmm Hooomans. LOOK INWARD. The next time that momma tells me that Bichons are food obsessed, I am going to rub her face in this bit of reality. Oh am I evah going to rub her nose in this. And auntie Robin. Do I need to say something to you as well??? What is it with you hoooomans, are all two leggeds obsessed with food and drink? Have any of you ever tried a good belly rub? She knows that pink is my favorite color. But until she makes that snow go away, I am still mad at her. But it was pretty while it lasted. And.. it did not last very long. She seems to be impatient. So, enjoy it. I am sharing it with you. FOR IMMEDIATE RELEASE - January 25, 2014 - PMI Nutrition, LLC (PMI), Arden Hills, Minn., has initiated a voluntary recall of its 20 lb. 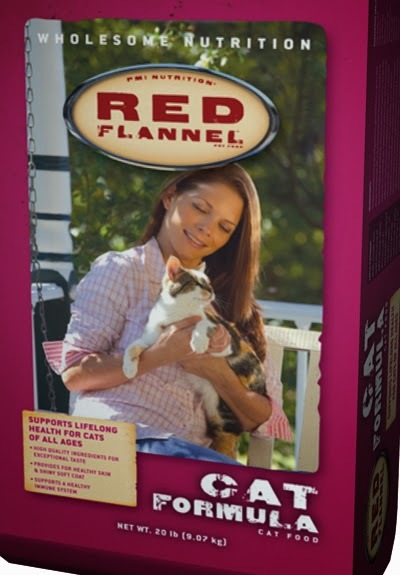 bags of Red Flannel® Cat Formula cat food for possible Salmonella contamination. There have been no reports of illness related to this product to date. This recall is being issued out of an abundance of caution after routine testing by the FDA Detroit District Office identified possible Salmonella contamination. Red Flannel® Cat Food was manufactured by a third-party manufacturer for PMI. The product was sold through dealers to customers distributed in the following states: Alabama, Georgia, Iowa, Illinois, Indiana, Kentucky, Massachusetts, Maryland, Michigan, Minnesota, Mississippi, North Carolina, North Dakota, New Jersey, New York, Ohio, Pennsylvania, South Carolina, Tennessee, Virginia, Vermont, Wisconsin and West Virginia. The UPC code for the recalled product is: 7 42869 00058 5. No other products/lot numbers are affected by this recall. Customers should immediately discontinue use of and return impacted product to their dealer for a full refund or replacement. We continue to work with impacted dealers and distributors to trace the bags. For more information on the recall, customers can contact the customer service line for PMI products at 1-800-332-4738. Customer service representatives will be available Sunday, Jan. 26 from 10 a.m. to 4 p.m. CST and Monday through Friday from 8 a.m. to 4:30 p.m. CST. Recalled Product Photos Are Also Available on FDA's Flickr Photostream. This is my street, supposedly. No yellow cat, no walkers, joggers, dogs, squirrels or birds. It is all covered in the wet and cold. Yea that it my name for that four letter word I refuse to say out loud! Somebody please tell Step Mother Nature... [she is behaving like a Step Mother not a Mother!] that I live in the SOUTH. I need sunshine and warmth and grass, not this white mess. This is as far as I was willing to "walk" to tinkle. Yuh. that is the threshold. Yuh I made yellow snow. No, they are not happy about it. Well, pick up the clue phone, I AM NOT HAPPY EITHER. Tasty Tuesday ...Please bring back the turkey jerky! It is , it is !!!!!! TASTY TUESDAY!!!! How about you making the big tray of turkey jerky "appear again out of that magic box? We were good. We kept a vigil. We did not attack it. Mommaaaaaa, where are going? 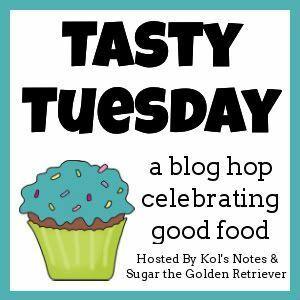 You need to cook or something, it is Tasty TUESDAY!!!!! The world goes away. You get filled with the feeling of love, safety, warmth, joy. No words, no barks, our eyes meet and nothing needs to be said. I love her, she loves me and don't you see? It is the magic of momma's arms.
" “Do I think animals are getting sick because they’re eating jerky treats? Yes,” said Kendal Harr, a Seattle vet and a clinical pathologist who helped push a petition for the resolution at the AVMA’s house of delegates meeting Jan. 10-11." "The AVMA, like the FDA, says that while it’s clear animals who’ve eaten treats have become ill or died, there’s no conclusive proof of the cause. 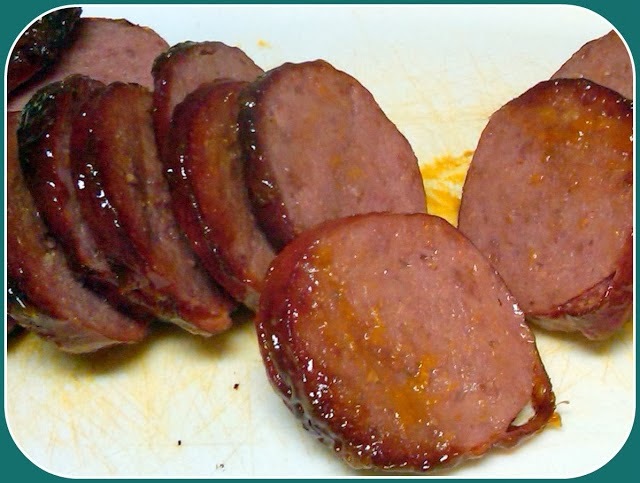 The FDA has been testing jerky products for more than five years, to no avail." " The treats are part of the $21 billion U.S. pet food industry, including $54 million in sales last year for Waggin’ Train and nearly $60 million for Milo’s Kitchen treats, according to data compiled by Packaged Facts, a market research group." "In the meantime, the AVMA and the FDA both remind owners that jerky treats are not a necessary part of a pet’s diet and to seek medical care at the first sign of gastric distress or kidney trouble. " You need to melt all the snow and give us back our grass. Have you looked out there? It's a mess! And that's NOT a good deal. She does not need any more justification to play dress up with us. And... she has booties ready to try on us. Seriously? I TRIED very hard with this "ARE YOU KIDDING"? Look... but momma is dense. By now I was grumbling and calling daddy for help. Yes, Wendy and I just hunkered down and SUFFERED together. I hope Auntie Robin sees this. Yes, our expressions say it all..."HELP- Momma is nuts"
Momma was driven nuts by SNOW! Sant Bichon de Frise, please, make the sun shine!